Cyrus Luley was born on December 19, 1931, in Brooklyn, New York. He enlisted in the Signal Corps branch of the U.S. Army on July 26, 1954, and attended basic training at Fort Jackson, South Carolina, in September 1954. 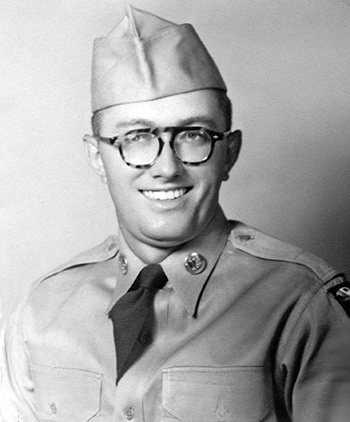 PFC Cyrus next attended Advanced Individual Training as a Cryptologic Specialist at Camp Gordon, Georgia, from September 1954 to February 1955, followed by service at Braconne Ordnance Depot in West Germany from February 1955 to June 1956. He left active duty on June 5, 1956, and served on inactive status in the U.S. Army Reserve until July 26, 1961. Cyrus Luley died on Memorial Day, May 27, 2014.